The 25 year old from Taree in Northern NSW has been riding since she was 4. 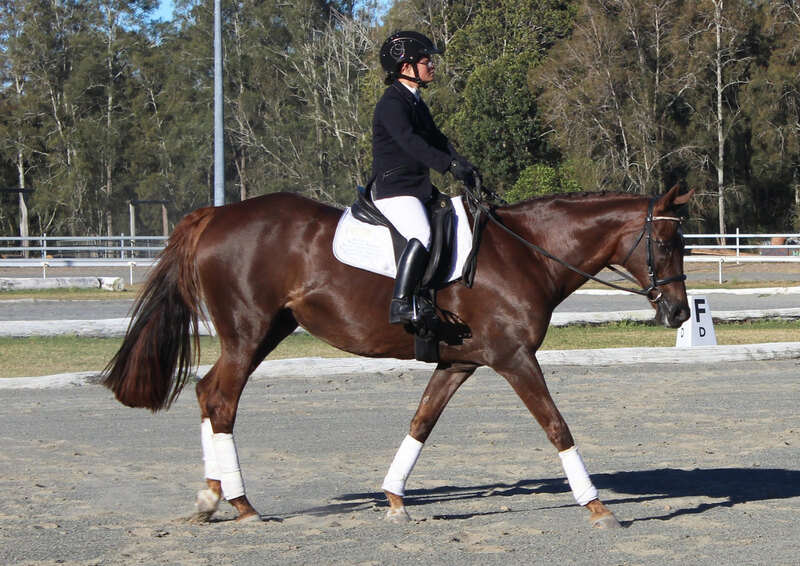 A member of the Manning Valley Dressage and Hacking Club, Sui competes in Australia as a Para Equestrian Grade 4 rider under her physical disability. Sui also has an intellectual impairment which makes her eligible to compete in the INAS competition which is for riders with an intellectual impairment. The first INAS Para Equestrian competition will be a video competition where riders perform the required dressage routine at their home venue and submit a video for assessment by Para Equestrian judges. The 2013 and 2015 Riding for the Disabled Grade 3/4 National Champion, Sui completed her first INAS international competition ride on Wednesday 6 September at the Taree Showgrounds under the watchful eyes of parents Paul and Janett Watts and coach Nell Marshman and has now submitted her video through INAS member Sport Inclusion Australia and now anxiously awaits the judges decision. The high cost of transport of horses and quarantine requirements make a live international competition extremely difficult and expensive, conducting competitions by video enables organisations to conduct an international event at a relatively low cost. The first Equestrian video competition conducted by INAS has been well received with entries from a number of countries. 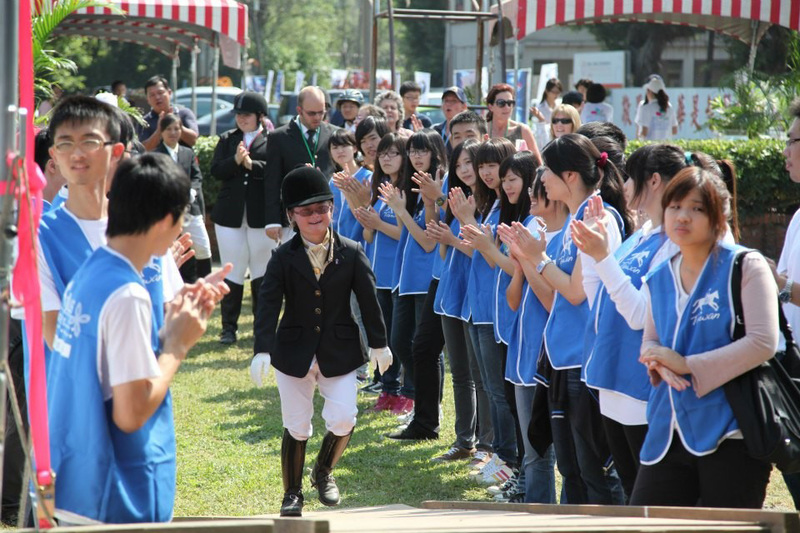 Inspired by equestrian events at the 2000 Sydney Paralympics, Sui decided that she wanted to one day represent Australia in Dressage. “This opportunity to represent Australia has been 17 years in the making, ever since we took Sui to watch the Equestrian events at the Sydney Paralympics, she has dreamed of one day representing Australia.” said Sui’s mother Janett Watts. Horses have had an enormous impact on Sui’s life, as a young child she had issues trusting people, working with horses, Sui learnt to trust again and deal with her trust issues with people. Sui’s life today is consumed with horses, each day she gets up at 5:30am to rug and feed the 6 horses at the family farm on Mitchell’s Island. Sui trains 6 days a week including lessons with her coach Nell Marshman and when she is not working on the family farm or training, Sui works at Taree Big W and the local YMCA creche. On weekends Sui can be found at the Taree Showgrounds either competing or volunteering at competitions. As a teenager Sui was fortunate to meet 5 time Paralympian Jan Pike. A Para equestrian rider who won two medals at the 2008 Athens Paralympics, Pike has taken Sui under her wing as a mentor over the last ten years. Sui and her horses have travelled extensively on the East Coast competing in events in South Australia, Victoria, Queensland and NSW including her favourite venue where her dream started, the Sydney International Equestrian Centre. For 11 years Sui and her horse Bolagamy Accession were inseparable, sadly the 11 year partnership came to an end in 2015 with the horses passing. Today Sui rides her new favourite mare Springfield Festivity, affectionately known as Reenie. For Sui riding is all about her and her horse doing the best that they can, it doesn’t matter where they come as long as they do their best, and if it doesn’t happen it doesn’t worry her either, she just says “oh well maybe next time” but just like anyone else she does like doing well. 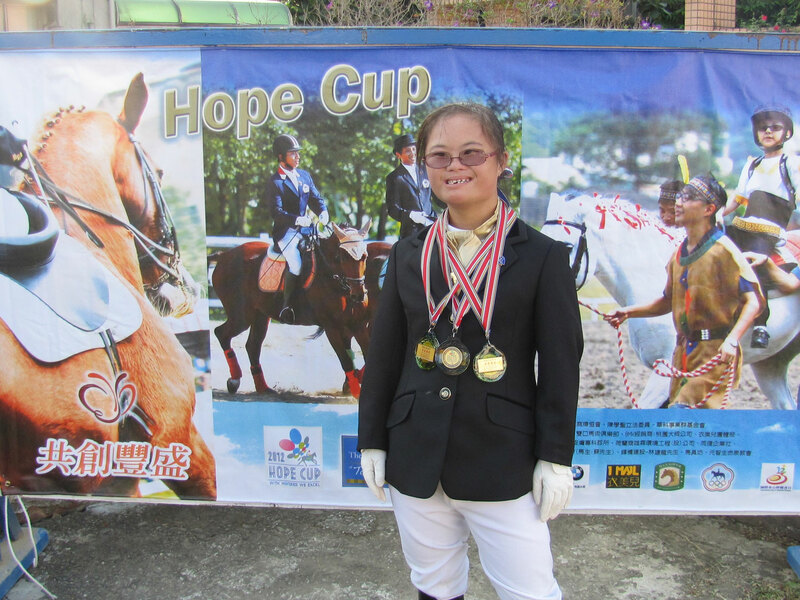 In 2012, Sui, family and coach Nell Marshman travelled to Taiwan for the International Hope Cup which is a dressage event for riders with an intellectual impairment and or physical disability. The 2012 event featured riders from Taiwan, Singapore, Japan and Australia. It was a successful trip for Sui and her borrowed Palimino pony Tom, with Sui returning with 3 medals. “Riding has given Sui an amazing self esteem and developed her confidence, she loves nothing more than being at a horse event chatting to everyone and showing off her gorgeous girl.” said father Paul Watts. While the Watts have made an enormous contribution to the riding community, they also appreciate and thank the Taree community for the support that they have provided to Sui. The Taree community have supported Sui in numerous ways, and as the saying goes – “it really does take a community to raise a child” and the Taree community certainly have played a part. Riding is an expensive sport, aside from the costs of travelling to events all over the countryside there are also the numerous costs associated with the horses upkeep. Sui and family have been fortunate to have had great support from Caterflex, which is a joint supplement for both animals and humans, riding older ponies it is very important to keep them in top condition, the support of Caterflex has enabled Sui and family to do just that.